This outstanding variety produces large spikes of the most beautiful shade of coral / apricot. Introduced in 1992, this most unusual and sought after colour is often found under the marketing names of Suttons Apricot, Apricot Delight or Apricot Beauty. Digitalis purpurea 'Apricot' is subtle and graceful, makes an excellent companion for plants with dark plum foliage or flowers. One of its greatest assets is the ability to mingle, a quality particularly important in contemporary gardens where the accent is on informality. Flourishing in sun or shade, the stately spires of tubular apricot flowers appear in June and July held above rosettes of large hairy, dark green leaves. Traditionally used dotted through the back of a cottage-style scheme or for adding height and drama to a shady border. These marvelous pastel flowers make an exceptionally decorative accent, extremely attractive to bees and very useful as a cut flower. 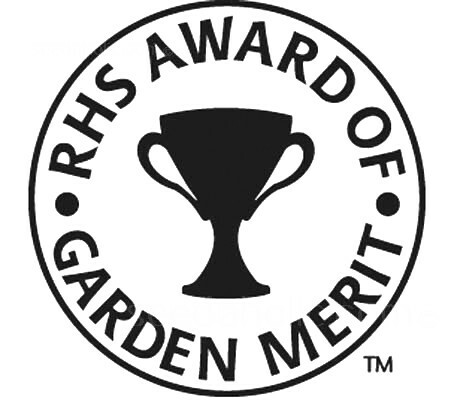 Awarded the prestigious RHS Award of Garden Merit (AGM). Sow seeds on the surface of a peaty soil. Do not cover or bury seeds as the seed needs light to germinate, just press seeds lightly into the earth. Keep seed in constant moisture (not wet) they will usually germinate in 2 to 4 weeks at around 20°C (68°F). Sow in March to May, 10 to 12 weeks before last frost. Sow seed thinly in trays of compost and place in a cold frame or greenhouse. Once germination occurs keep in cooler conditions. Prick out each seedling as it becomes large enough to handle, transplant into 7.5cm (3in) pots or trays to grow on. Gradually acclimatise to outdoor conditions for 10 to 15 days before planting out once all risk of frost has gone. Transplant to the flowering position planting 30cm (12in) apart. Sow in May to June or September to October directly in a well prepared seedbed. Sow seed very thinly in drills 30cm (12in) apart. Firm down gently. Keep the plants moist and free of weeds. Thin out the seedlings to 15cm (6in) apart when large enough to handle. Digitalis purpurea foxgloves are biennial which means that plants establish and grow leaves in the first year, it will send up large spikes, then flower and produce seeds in the second. As a rule, they are hardy plants and can cope with any soil unless it is very wet or very dry. They are fairly disease resistant, although the leaves may suffer slightly from powdery mildew if the summer is hot and humid. If you cut the stalk down before it goes to seed, it will generally rebloom through August and, if you wish, you can reseed from the second showing. Self-sown seedlings producing different shifting, untutored patterns of flowers each year, they can be easily transplanted to the location you want them to bloom. They are best transplanted when the leaves are about 10cm long. Make sure the newly moved plants are watered very well to help them establish. Cover the flowerspikes with paper bags (such as those used by bakers to wrap baguettes) to collect the seeds. When the seedheads have dried, shake them to remove the seed and scatter them where you want them to grow. Digitalis is a classic example of a drug derived from a plant formerly used by folklorists and herbalists. Digitalis slows the heart but provides a source of medicine used by doctors in heart medicine. In pure form are referred to by common chemical names such as digitoxin or digoxin, or by brand names such as Lanoxin, or Purgoxin. Herbalists have largely abandoned its use because of its narrow therapeutic index and the difficulty of determining the amount of active drug in herbal preparations. 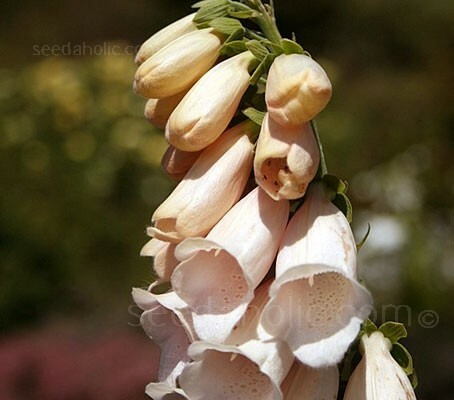 The whole foxglove plant is extremely poisonous. Fortunately it tastes very bitter and causes irritation of the mucous membranes in the mouth, actually causing pain and swelling. It also causes diarrhoea, nausea and vomiting, so if it does get in, it soon comes out. Because of these factors, it is not really a problem for wildlife, human or otherwise. However if you ever find a child who has been around this plant with symptoms of oral irritation, grab a stem or two and get to the emergency room. Wear gloves when handling plants or seeds, plant only where children or animals will not have access. If foxgloves are grown near most plants they will stimulate growth and help to resist disease and if grown near apples, potatoes and tomatoes their storage qualities will he greatly improved. Foxgloves in a flower arrangement make all the other flowers last longer - if you do not want the actual flowers in the vase make some foxglove tea from the stems or blossoms and add to the water. Digitalis is a genus of about twenty species of herbaceous biennials, perennials and shrubs that was traditionally placed in the figwort family Scrophulariaceae. Due to new genetic research, it has now been placed in the much enlarged family Plantaginaceae. The name Digitalis is a latinisation of the German name 'fingernut' from the Latin digitus meaning 'a finger'. The flower resembles the finger of a glove. The species epitaph purpurea was adapted by Linnaeus two centuries later. Digitalis purpurea 'Apricot' can also be found marketed under the names of 'Suttons Apricot', 'Apricot Delight' and 'Apricot Beauty'. The English name comes not from foxes, but from the phrase 'folk’s gloves' meaning belonging to the fairy folk. The foxglove was believed to keep evil at bay if grown in the garden, but it was considered unlucky to bring the blooms inside. The National Collection of Digitalis is held at T.A. Baker, The Botanic Nursery, Rookery Nurseries, Cottles Lane, Atworth, Melksham, Wiltshire SN12 8HU. Tel: 07850 328 756 for opening hours. This well known family firm has been supplying seeds for more than 200 years. The company was founded as an agricultural seed supplier in 1806 in Reading by John Sutton (1777-1863). His son Martin Hope Sutton (1815-1901), put the company on the horticultural map with the introduction of flower and vegetable seeds aimed at the increasing number of small garden owners in Victorian England. Another successful innovation was the introduction of a mail-order service. In 1876 Arthur Sutton (1854-1925) joined the firm. He became a prolific hybridiser, producing improved varieties of vegetables by introducing species from the Near East, and swelling the Suttons Catalogue considerably. He was awarded the RHS Victoria of Honour in 1897, and continued to supply seed during the difficult years of World War I.
Suttons moved their operation from Reading to Devon in 1976. The company now belongs to the French-owned international conglomerate Vilmorin. 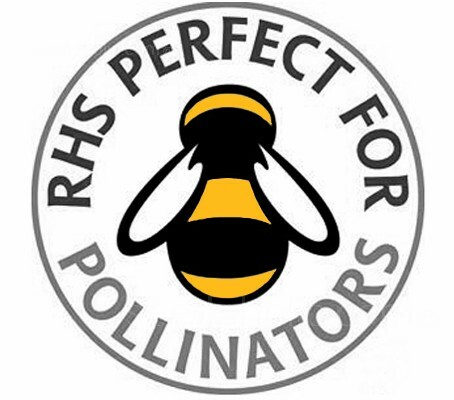 Over the years many seed strains have incorporated the Sutton name: perhaps the most familiar today are varieties such as the foxglove Digitalis purpurea 'Suttons Apricot' and the dwarf Broad Bean 'The Sutton'. They will usually germinate in 2 to 4 weeks at around 20°C (68°F).